← Indies in the news. Traditionally published authors have an advantage over the Indie author. Their book goes to an editor who scrutinizes the contents. He (or she) looks for structure, sense, style, characterization, etc. He gives them advice on how to make their book work and read better. He won’t try to rewrite the book, he won’t lay a finger on it, all changes are up to the author, but his input is invaluable. It’s what he does for a living. After the author makes editorial changes, the book goes to the copy editor. He goes over it word by word, looking at grammar, punctuation and if all things make sense. The manuscript returns to the author with thousands of red corrections and the author takes care of them. The manuscript is then typeset, page proofs (or galleys) are created, which go to a proofreader. This person compares the proof with the final manuscript, line by line, word by word. Discrepancies will be marked and corrected. Most Indie authors don’t have the benefit of any of the above, unless they want to pay for those services, and they can be expensive. But that’s no excuse for turning out a poorly written, poorly formatted final product. Writing groups can give excellent input, as can your fellow authors on forums such as Kindleboards. And then there are beta readers. Betas, ah betas, what would I do without you? Each beta reader looks at your book from a different perspective, they give you everything from poor word usage to missing punctuation to plot inconsistencies and conflicts. They give you ideas. 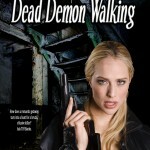 Several apparently minor inconsistencies in Dead Demon Walking resulted in major changes to the plot, changes which – in my opinion – greatly improve it. So, Indie writers, don’t go it alone. Reach out. You won’t be sorry. WHERE IS DEAD DEMON WALKING? In my PC, that’s where. I’m taking a break for a week or two before I look at it one more time. In the meantime I will work on the cover for the paperback, and getting together some freebies for a contest to celebrate the release. Yes, CONTEST! Ooh! I’m aiming for a March release. 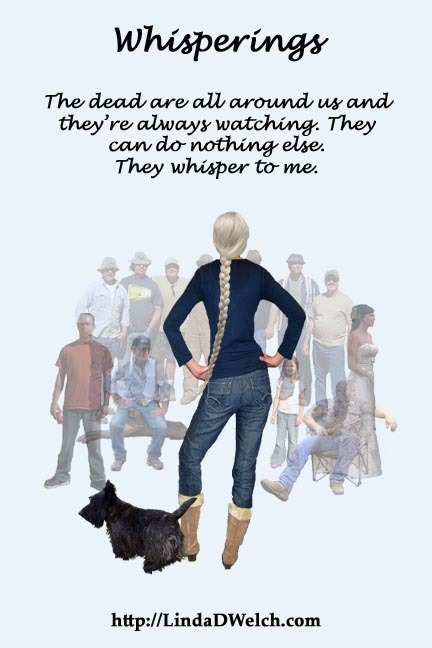 I am so happy with the response to the Whispering series in my homeland, the United Kingdom, Old Blighty, Great Britain. Along Came a Demon is getting some very nice reviews and selling better than in the USA. A reader even began a discussion on the Amazon Kindle Discussion Forums. Fame indeed. If you want to take a look, it’s rather fun. Which bring me nicely to a pet peeve. One UK reviewer also posted a review on the UK Amazon Kindleboards and pointed out that Along Came a Demon is not a romance, rather a paranormal mystery with elements of romance. This gratified me, because I am becoming perplexed by the Amazon category thing. Along Came a Demon has been in the top ten in the Amazon (USA) category “Urban Fantasy” for six months, most of the time placed at #3 or #4 for Kindle. It is also in the top ten for “Paranormal Mystery.” But, the product page lists it only as “Ghost.” You would think that the consistent high placement in the “Urban Fantasy” and “Paranormal Mystery” category, and less than thrilling placement in “Ghost” would reflect on the product page. Nope. In the UK, it lists #2 in the “Paranormal Mystery” category (The Demon Hunters is #1 – I don’t know how that is possible, as Along Came a Demon outsells The Demon Hunters) yet is listed as “Books>Romance>Paranormal” on the product page. Amazon is not the only culprit. Barnes&Noble Nook kindly featured Along Came a Demon in their PubIt! Picks section, but under “Science Fiction!” I wrote to them and asked why. They replied, as I designated the category as “Fantasy,” it falls under “Science Fiction and Fantasy.” I found that less than a helpful reply, as when I published for Nook and chose my categories, “Fantasy” and “Science Fiction” were two separate categories. They still are. I do ramble on, don’t I. Not really. Everything here is relevant to the Indie writing and publishing process, including choosing the dreaded categories. Writing, editing, formatting, design, publication, promotion – we do it all. If we succeed, it’s through the sweat of our own brow, and a little help from our friends. 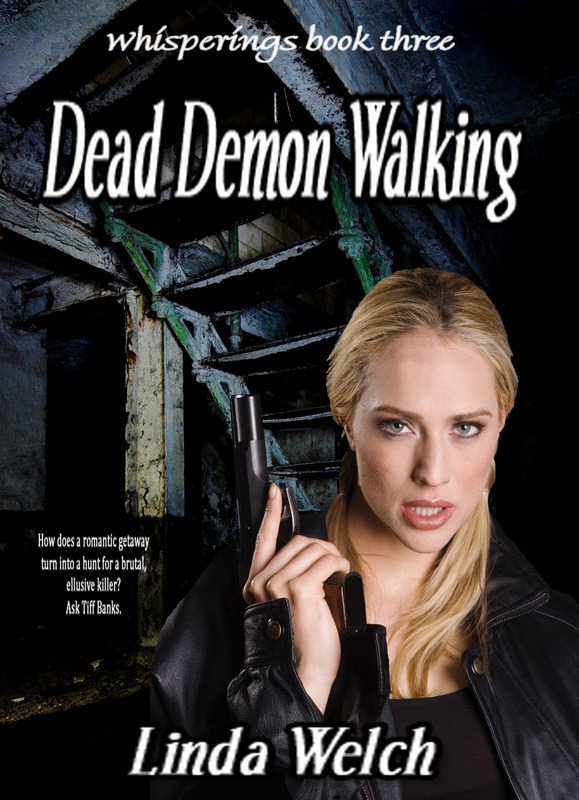 This entry was posted in Adventures in Publishing, Ramblings and tagged Along Came a Demon, Dead Demon Walking, Linda D. Welch, Linda Welch, The Demon Hunters, Whisperings. Bookmark the permalink. Glad to hear that the book is coming along and will be available soon! March will be here before you know it, so it is not that long to wait. I do agree with you about Amazon and the categories. Traditional bookstores do this as well and I find it extremely frustrating. It is made even more difficult by the fact that even authors and publishers can’t agree about categories. Add in the retailers as well, and it is a mess. But, at least on the bright side, the books are doing well, whatever category they are in!